January 23, 2019 1:00 pm. Lindsay Park Racing have their sights set on the Million dollar prize at Ellerslie on Saturday when they contest the Karaka Million 3YO Classic (1600m) with dual stakes winner Long Leaf. The three-year-old colt, who was purchased out of Curraghmore’s 2017 New Zealand Bloodstock Premier Yearling Sale draft for $750,000, was favoured in Melbourne over the spring and David Hayes, who trains in partnership with son Ben and Tom Dabernig, said Saturday’s contest has been in the pipeline for some time for his charge. “I brought him over for those wonderful New Zealand dollars at the Karaka Million meeting,” Hayes said. “He has won two stakes races in Australia and started one of the favourites in the Group 1 Blue Diamond (1200m). 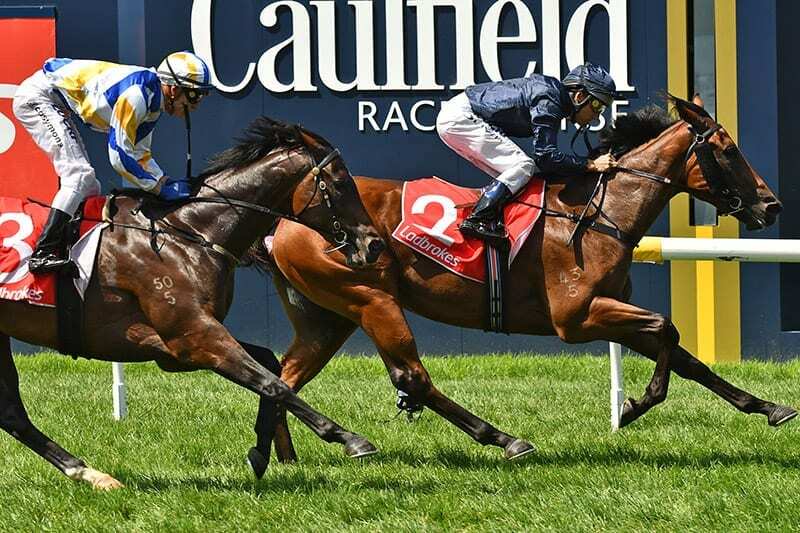 “We nearly brought him over for the Karaka Million 2YO last year, but he has been set for this race since the Group 2 Sandown Guineas (1600m), where he was placed. While Hayes said it was hard to compare form between the two nations, he has a lot of respect for the field and is looking forward to a strong showing from his charge in the million dollar feature. “The build-up has been uneventful, he has done everything right, so I will be very disappointed if he doesn’t run a good race,” he said. “I think we have got a cracking race though, there are some outstanding opposition, so he will have to be on his best to get there. “It is always hard when you are comparing form from different countries, but obviously the two Guineas winners have been very impressive. Long Leaf pleased his connections with his final hit-out on Tuesday and will now take a quiet approach into Saturday’s meeting. “He is going to arrive at Brendan Lindsay’s and won’t do much because he had his final gallop yesterday (Tuesday),” Hayes said. Hayes was on-hand at Karaka on Wednesday to select gate 11 in the barrier draw for the Karaka Million 3YO Classic and he said he was looking forward to New Zealand Bloodstock’s yearling sales, which begin at their Karaka sales complex on Sunday. “I think it is just a wonderful facility and such an easy place to get around,” he said.